A quality product made in Germany! 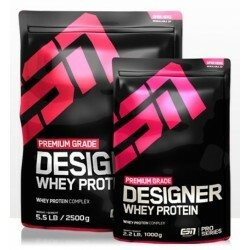 ESN Designer Whey Protein - an elite protein made in Germany! 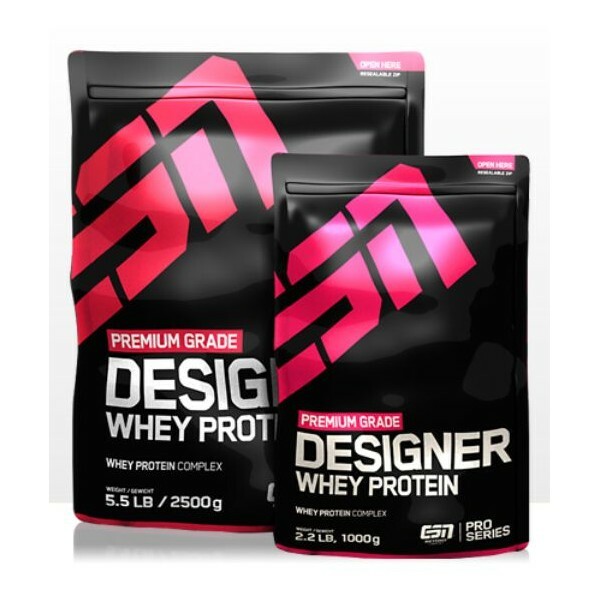 This designer whey by ESN is a superb mix of high-quality whey isolate and whey concentrate. Its whey isolate content is greater than 30%. This popular German whey protein has a high content of all importand and essential amino acids. Its high percentage of bioactive protein fractures is down to an elaborate maufacturing process and high quality standards. 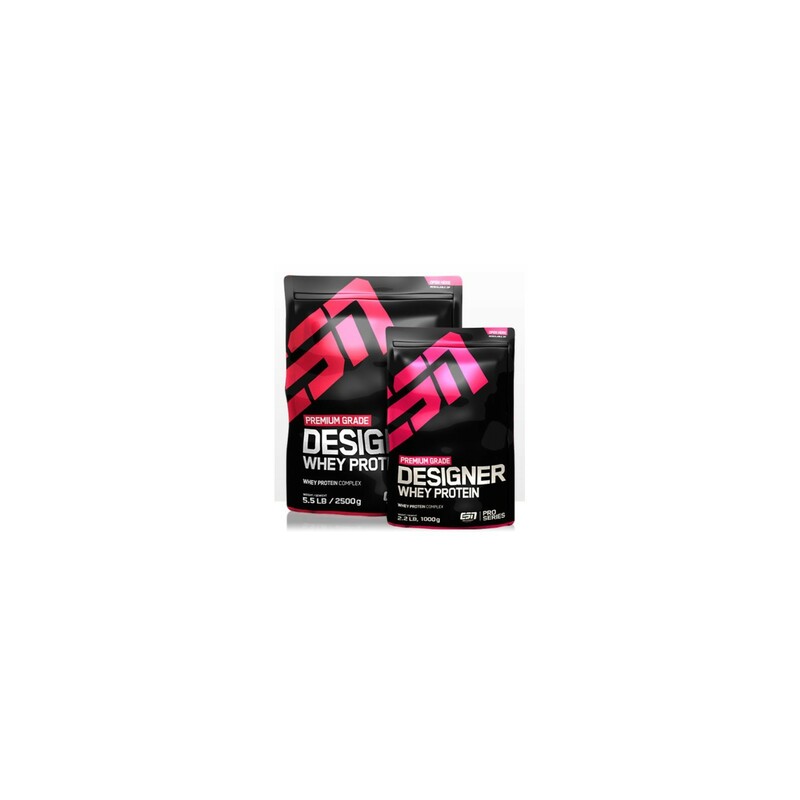 Being low in fat and carbohydrates, this designer whey is not only suitable for muscle building workouts but also for low-carb and low-fat diets. This well soluble and great tasting protein by ESN is also suitabel for lactose-intolerant persons as it is low-lactose and contains no aspartame. Avaible in many different flavours. Hervorragendes Produkt, super Geschmack und mit effektiven Training merkt man den Muskelaufbau deutlich. Gute Qualität zu einem ordentlichen Preis, das zeichnet ESN aus. Immer wieder gerne. Das beste Whey auf dem Markt!